Founded in 1994, Galeria Aniela won the trust of some of the most important Australian artists from the post WWII until today. Sir David Attenborough and Hon. Bob Hawke have been guests. The BOYD family held their first group exhibition on site. It is featured on various TV shows, luxury magazines and c oup the front page Sydney Morning Herald, Australian National News ABC |BOYD| ABC TV , Australian National News | Perceval |ABC TV , BOYD Sunday Afternoon ABC TV , Charles Blackman SBS TV. Galeria Aniela built a reputation in Australia and the wide World, offering buyers high-quality art of impeccable provenance shipping worldwide . Artists such as Arthur Boyd , Jamie Boyd , Lenore Boyd, Charles Blackman, John Perceval, John Olsen and more . Galeria Aniela people focused approach ensures a rewarding experience, whether a first time buyer, a collector or an investor. Artist: Billy Stockman Tjapaltjarri was one of the legendary founders and the greatest Masters of the seminal ‘art mob’ responsible for the Aboriginal art movement from the early 1970’s at Papunya. Billy Stockman has now retired from painting and lives at Hetti Perkins Home for the Aged in Alice Springs. Billy Stockman paintings provide a link with the historic moment at Papunya and 60 thousand years sacred Aboriginal Dreamings. Billy Stockman Tjapaltjarri Anmatyerr born circa 1927, Biography Encyclopaedia Aboriginal Artists page 376 . 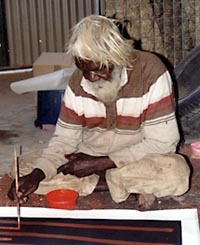 Billy Stockman served as chairman of Papunya Tula Artists from 1976–1977 and as a member of the Aboriginal Arts Board of the Australia Council from 1975–1979. He represented Papunya Tula Artists on several international cultural exchange projects and also travelled to New York in 1988 for the opening of Dreamings: The Art of Aboriginal Australia. Billy Stockman Tjapaltjarri see page 376 Australian Encyclopaedia Aboriginal Artists dictionary of biographies by Kreczmanski and Birnberg 2004. Billy Stockman travelled to New York in 1988 for the opening of the "Dreamings" show at the Asia Society and, along with Michael Nelson Jagamarra , they created a Sand painting as part of the exhibition. 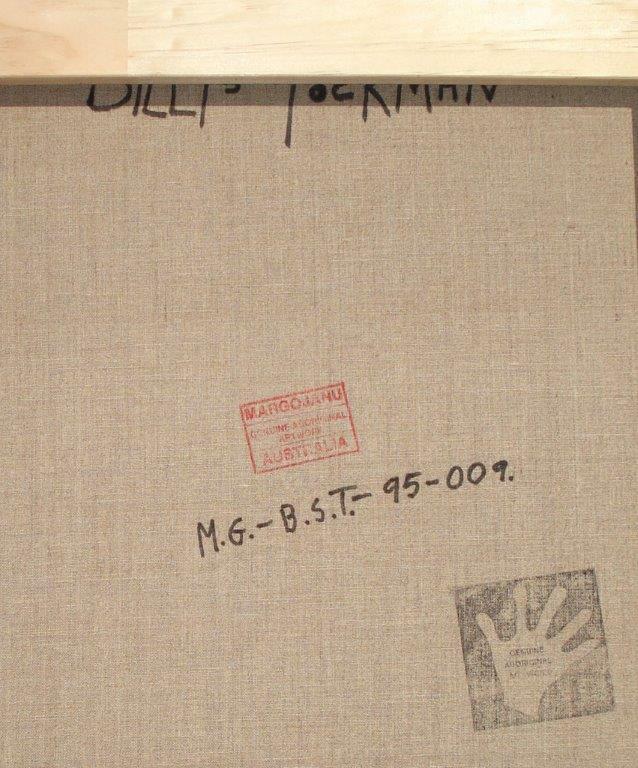 Billy Stockman is an old master and one of the most celebrated artists with renowned International reputation. His work is widely collected in Australia and internationally. Billy Stockman Tjapaltjarri (b c.1927 at Ilpitirri near Mount Denison) is one of Australia's best-known artists of the Western D esert Art Movement, or Papunya Tula. His mother was killed in the Coniston Massacre in 1928 and his father was away from the camp hunting and survived. Billy was raised on Napperby Station by his auntie, the mother of Clifford Possum Tjapaltjarri. In the 1960s Billy Stockman was working as a cook at Papunya when many of the Pintupi people were brought in from the west. Like Clifford Billy Stockman began his artistic career carving wooden animals for the arts and crafts marketpla ce. Billy Stockman is credited with being one of the men who painted the Honey Ant Dreaming on the wall of the Papunya School at Geoff Bardon's request. 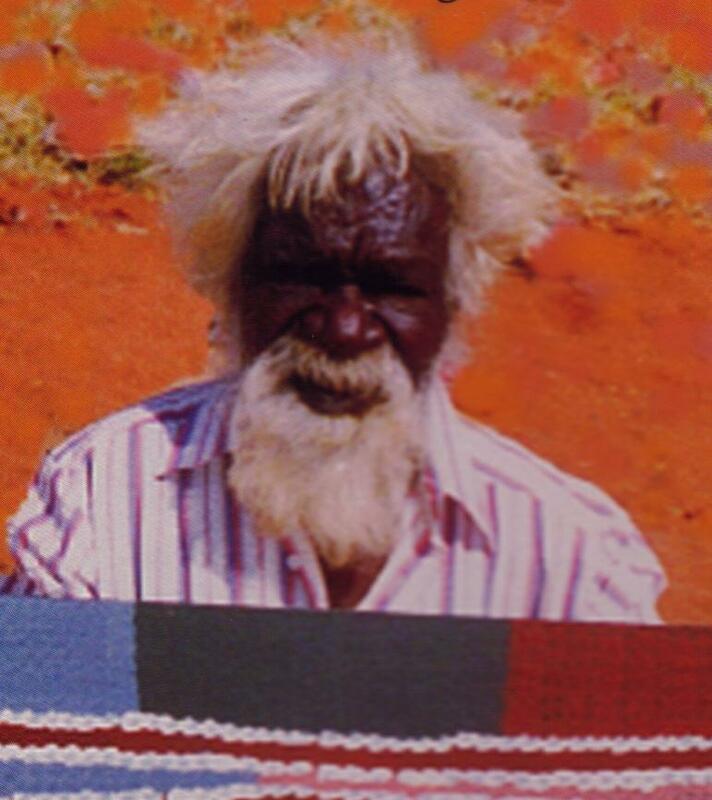 He was, in the '70s, one of the first chairmen of Papunya Tula Pty Ltd.
Billy Stockman later moved west to I lili, a pioneer in the country camp movement, although in his later years he has spent much time in Alice Springs. As a founder of the Contemporary Art Movement and as a senior custodian of his land and dreaming stories, Billy has been active in communicating his traditional beliefs to the outside world. Billy's work has been seen around the world in several travelling exhibitions, as well as being featured in many Galleries and Collections through out Australia. 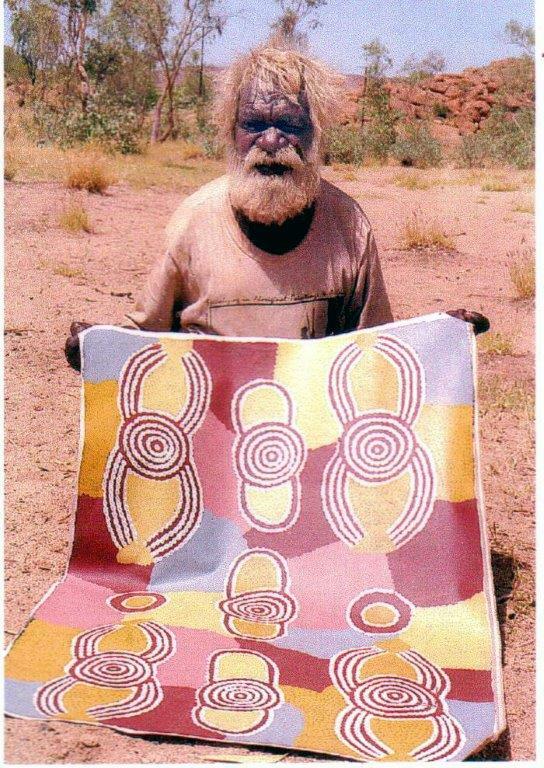 Billy Stockman Tjapaltjarri, a proud man from the Anmatyerre people in Central Australia. 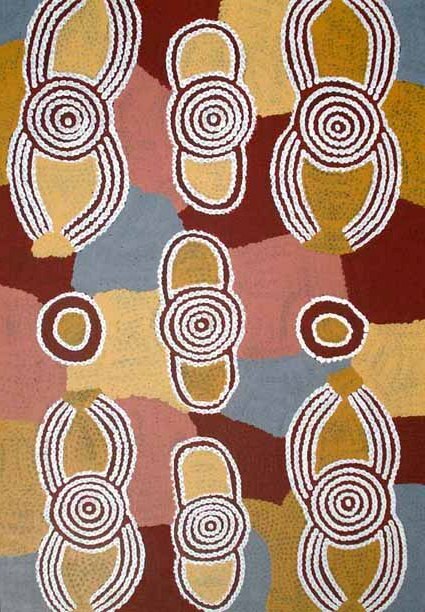 In 1988 Billy Stockman was involved with the opening and exhibited in New York for the "Dreamings: Art of Aboriginal Australia'. This exhibition traveled to Papua New Guinea, New Zealand and the 'All Black Festival' in South Africa. National Gallery of Australia in Canberra has acquired Billy Stockman painting as well as the New South Wales Art Gallery, Art Gallery of South Australia, University of Western Australia Anthropology Museum. 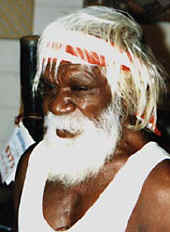 Bil ly Stockman was one of the original founders of the Papunya community in the Central Desert. 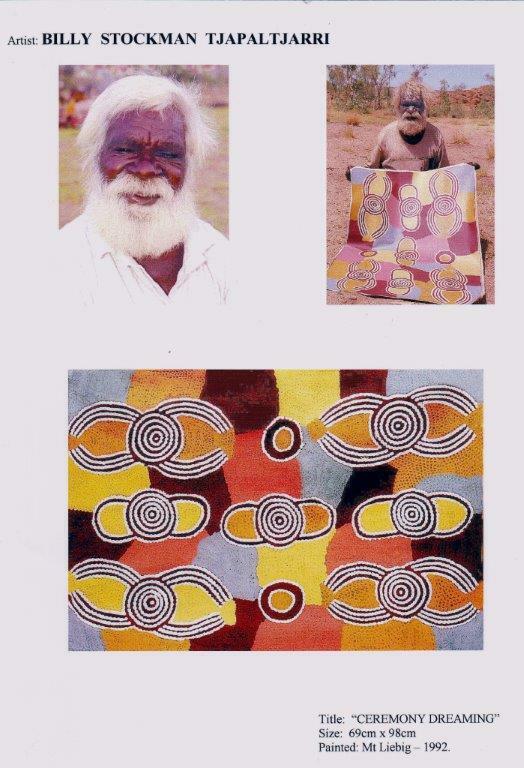 His role in this community varied he has been helping the Pintupi people settle in to community life, then as one of the founders of the aboriginal art movement in 1971. In 1971 Geoffrey Bardon a white school teacher assigned to the Papunya School began a project of painting a mural using the aboriginal colors and traditional iconography. Along with Long Jack Phillipus and two other artists, Billy Stockman, took over the project which became the first piece of Central Desert Art to be exhibited. This painting represented the "Honey Ant Dreaming". 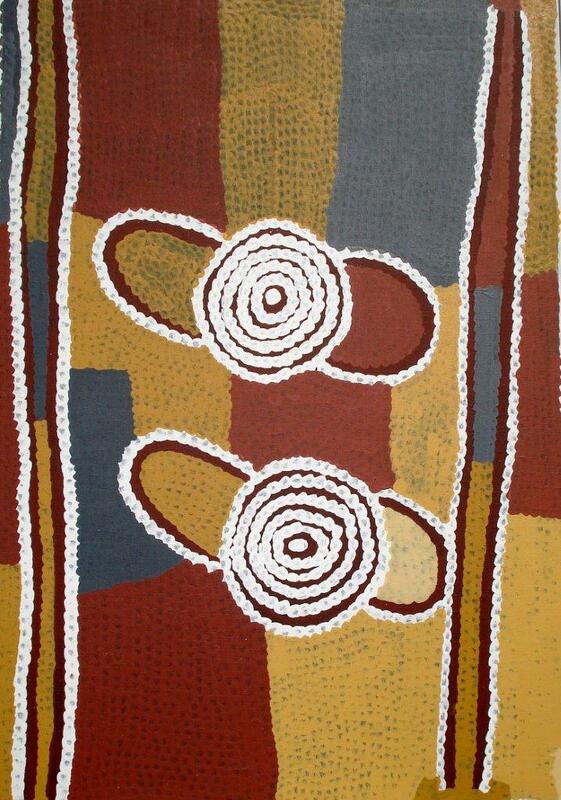 Th ese artists held vitally important tribal positions and were instrumental in the instruction of young Aboriginal men. Instead of imposing European notions of perspective on their paintings, the men used the existing system of desert culture symbols to depict their Dreamings and their relationship with the land. This was an experiment which had staggering results. This genesis of the contemporary art movement empowered a renewed sense of pride and cultural identity among the Aboriginal people of the region. 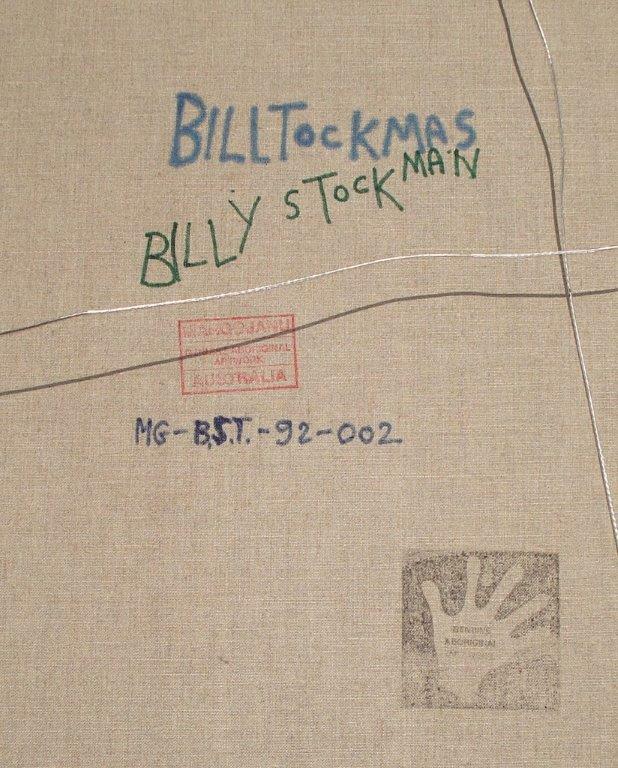 Billy Stockman soon emerged as one of the most prolific and important artists of his time. Billy Stockman Tjapaltjarri f ocus on the spiritual content of Aboriginal society. Billy is able to incorporate this strong foundation with a modern definition for all to understand and benefit from. 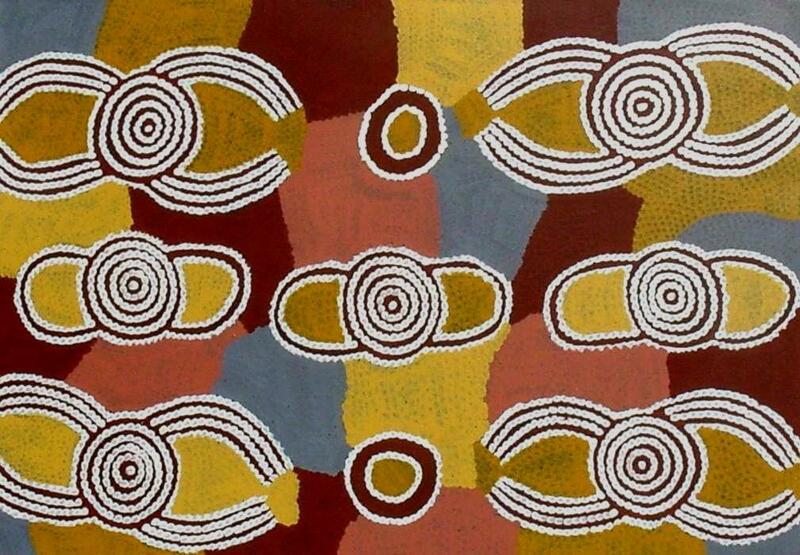 It is important to the artist that the spirit of Jukurrpa is revived to aid in the healing of the entire planet. A proud family man Billy Stockman Tjapaltjarri is from the Anmatyerre people in Central Australia. Billy Stockman was born at Ilpitirri near Mt Dennison, north-west of Yuendumu, the year before the Coniston Massacre savaged his family. He was rescued as an infant and raised by Clifford Possum Tjapaltjarri's parents and grew up on Nappe rby Station, where as his name clearly states, he worked as a stockman. In about 1955 he moved to Haasts Bluff where he married a daughter of Uta Uta Tjangala's brother. Like Kaapa Tjampitjinpa and Clifford Possum, Billy Stockman was a wood carver before he became a leading figure in the first few years of the painting movement. Together with Kaapa, Long Jack Phillipus and others, he participated in the painting of the Honey Ant Mural and he was one of the most enthusiastic artists in the Men's Painting Room. He painted Yam, Wallaby, Budgerigar, Spider, Rainbow and Water Dreamings and was one of the first to begin painting large-scale canvases. 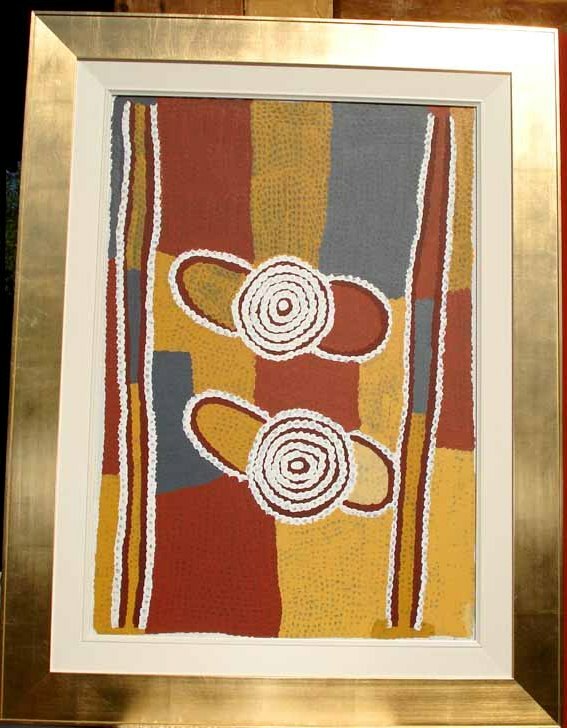 Known as one of Australia's most exceptional artists, Billy Stockman Japaltjarri, through his paintings, is able to promote Aboriginal culture throughout the world helping to develop the resurgence of the Dreaming as well as a healthy economic base for the Aboriginal communities . Billy Stockman Tjapaltjarri is one of Australia's most exceptional artists and one of the legendary founders responsible for of Aboriginal Art Movement from 1970's is renown internationally. Billy Stockman work, sprung from the world's oldest continuous culture, still stands alone and its very essence is one of intrinsic spirituality. The powerful and heroic dreaming symbols of his paintings are charged with authority and religious knowledge. The ebullient texture of his work is anchored by a metaphysical core and a deep affinity with the land. As a founder of the Contemporary Art Movement and as a senior custodian of his land and dreaming stories, Billy has been active in communicating his traditional beliefs to the outside world. Billy's work has been seen around the world in many traveling exhibitions, as well as being featured in many Galleries and Collections through out Australia. In 1988 he was involved with the opening and exhibited in New York for the "Dreamings: Art of Aboriginal Australia'. This exhibition traveled to Papua New Guinea, New Zealand and the 'All Black Festival' in South Africa. In recent years the National Gallery of Australia in Canberra has acquired his painting as well as the New South Wales Art Gallery, Art Gallery of South Australia, University of WA Anthropology Museum. 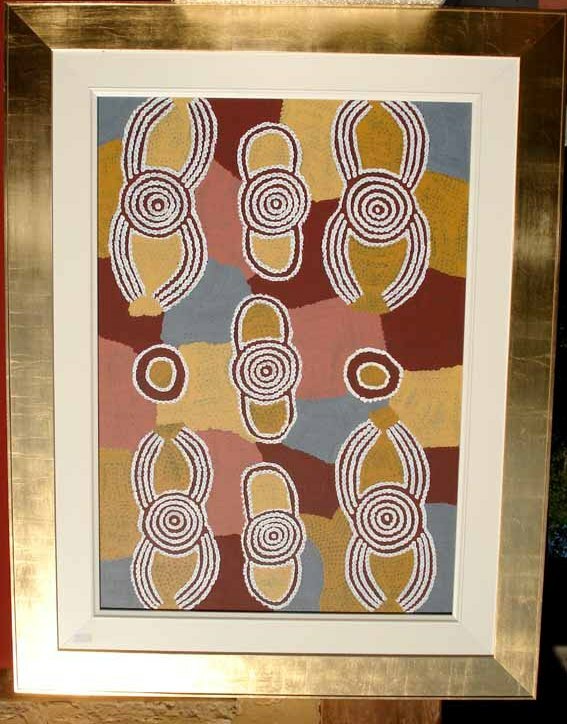 Known as one of Australia's most exceptional artists, Billy Stockman Japaltjarri, through his paintings, is able to promote Aboriginal culture throughout the world helping to develop the resurgence of the Dreaming as well as a healthy economic base for the Aboriginal communities. It is important that the spirit of Jukurrpa is revived to aid in the healing of the entire planet. Focusing on the spiritual content of Aboriginal society Billy is able to incorporate this strong foundation with a modern definition for all to understand and benefit from. 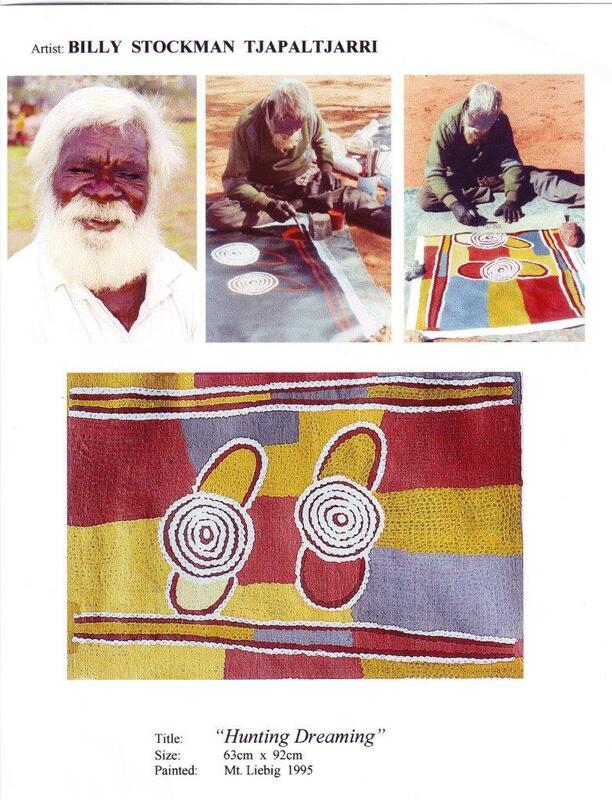 Billy Stockman Tjapaltjarri is the great Master and the original founder of the seminal ‘art mob’ responsible for the Aboriginal Art Movement from the 1970’s at Papunya. Billy Stockman is Australia's most exceptional artist and his paintings provide an important link to 60 thousand years of Aboriginal Dreamings and the historic moment at Papunya . Due to Billy Stockman health, the artist has retired. Billy Stockman painting ' Yala Dreaming' (54.5x46cm) sold for $200,500 (purchased by Australian National Gallery of Victoria ). The concentric circle design depict the ceremonial ground designs celebrating The mythology of Hunting at a place in the artist's homeland called Tjikarri Mt Liebig. Mount Liebig is a mountain with an altitude of 1524 m (5000 ft) in the southern part of the Northern Territory of Australia. It is one of the highest peaks of the MacDonnell Ranges and was named by the explorer Ernest Giles after the German chemist Justus von Liebig. Nearby settlements include Haasts Bluff. Notable Indigenous Australians who have lived in the region of Mount Liebig include Indigenous artist Nora Andy Napaltjarri and Ngoia Pollard (1948), Encyclopaedia Ngoia Pollard Napaltjarri biography .